The award is to recognize creative excellence in entertainment education designed to benefit society. 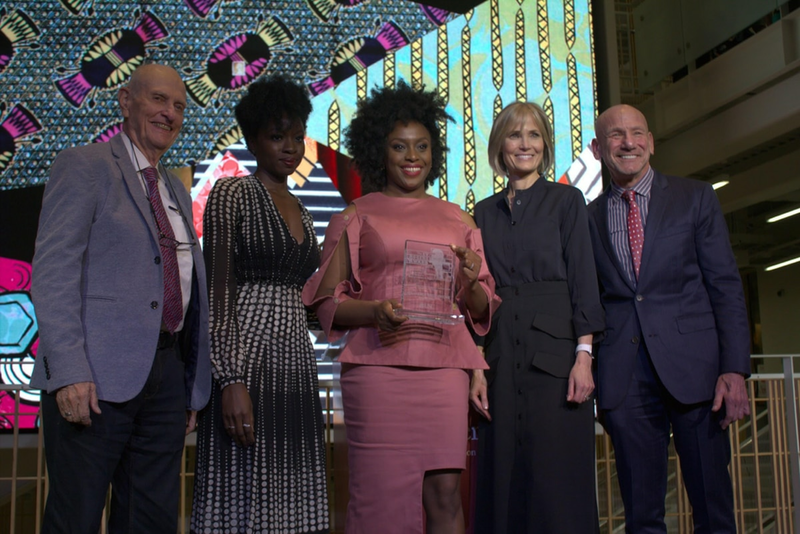 On Thursday evening, Nigerian novelist Chimamanda Ngozi Adichie was honored with the 2019 Everett M. Rogers Award. Hundreds of students, faculty and guests, mostly comprised of women, occupied nearly all the standing room in Wallis Annenberg Hall lobby to hear her words. Adichie is a Nigerian novelist known around the world for her numerous award-winning works including Purple Hibiscus, Half of a Yellow Sun and Americanah. Her Ted Talk "The Danger of a Single Narrative" is one of the most watched of all time. Additionally, Adichie is a MacArthur Genius grant recipient and was named as one of Time Magazine's 100 most influential people in 2015. 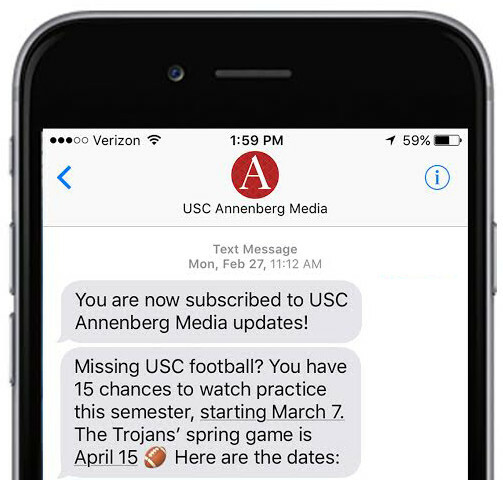 Thursday's award was presented by USC Annenberg Norman Lear Center, which studies the social, cultural, economic, and political impact of entertainment on the world, to recognize creative excellence in entertainment education designed to benefit society. "As a community of scholarly inquiry, we often find ourselves examining the power of stories," said Annenberg Dean Willow Bay, who delivered the opening remarks at the ceremony. "We know stories can entertain, they can educate, and they also allow us to excavate the buried truths, work through humanities most complex problems, and achieve more equitable and just realities." Throughout her acceptance speech, Adichie navigated the tight spaces between humor and solemnity. Primarily, Adichie addressed topics including politics and fake news, citing her concerns about overuse of the term. "What if everyone simply refuses to use the expression fake news," she addressed to the audience, "because it is saying that over and over again that gives it legitimacy." Adichie went on to discuss the broader implications of the term "fake news" in the United States. "I find myself most worried about the potential death of critical thinking and consequently the death of empathy," she explained. "Empathy and critical thinking are starting points to radically change the way we deal with everything." Adichie said she felt frustrated with young people's lack of compassion and tendency to ignore or "cancel" others without allowing nuanced conversations. "Stop canceling people," Adichie said with a chuckle under her breath. "It seems to me that it is not a very productive way to think about things." Adichie also spoke about the impact of "cancel" culture on the #MeToo movement. Adichie told Annenberg Media that while she is "cautiously optimistic," she believes that "all justice movements, in their early stages, cannot afford nuance." Adichie also detailed her concerns regarding media coverage of #MeToo stories, arguing that the "kind of thinking where before a woman is worthy of sympathy, she has to be the Blessed Virgin Mary, is misogynistic." Pausing briefly, Adichie added that "we need to allow women to be complex and flawed, and still be deserving of empathy and justice." "Chimamanda Ngozi Adichie uses stories to grow our empathy and our aspirations," Director and Co-founder of the Norman Lear Center Marty Kaplan said prior to Adichie's speech. "She weaves her insights about gender, race, and identity into the narratives of human experience." Actress, playwright and activist Danai Gurira, best known for her roles in Black Panther and the Walking Dead, was the one who introduced Adichie to the audience. Gurira said she felt to be "included" when she first read Adichie's book. The "lives of people like me, living in African realities full of their own specific complexities, were suddenly center stage," Gurira said. After posing for photos with her new award, Adichie surveyed the crowd for a few contemplative seconds. Deeply moved by and grateful for the award and words of the audience, Adichie fought back tears and quietly requested a moment to collect herself. "I'm doing what I love," she explained. "And it means a lot to me that it means a lot to people."